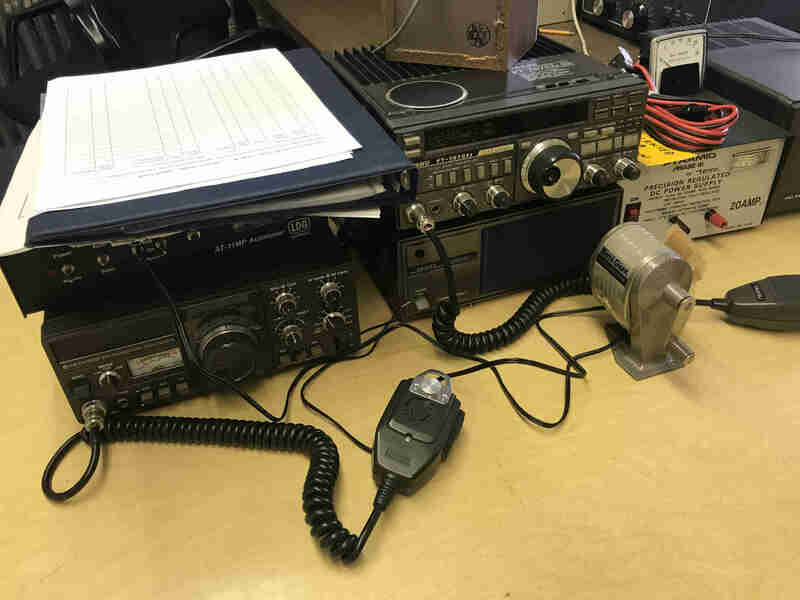 During homecoming weekend at UTK, KM4BAN and I had an opportunity to take a tour of one of the most unique shacks in amateur radio. 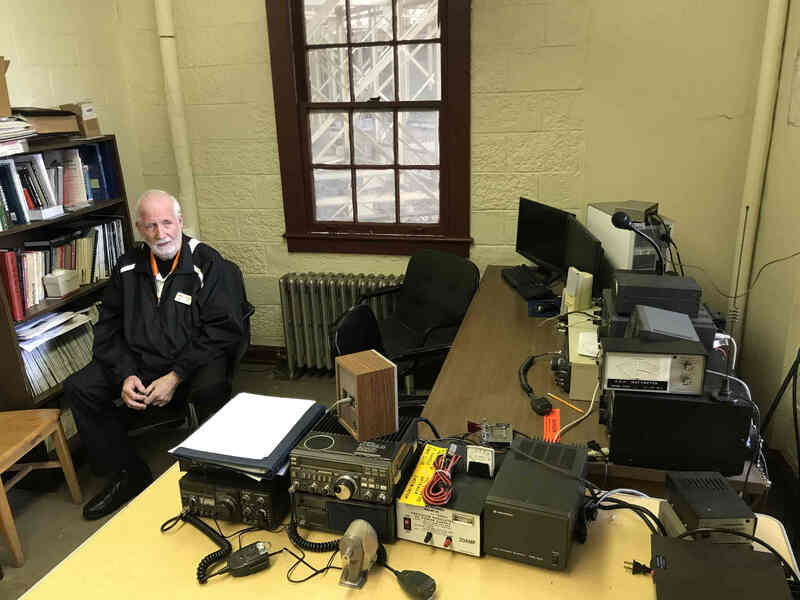 The University of Tennessee Amateur Radio club has a set of antennas nestled between the lights at the top of Neyland Stadium in Knoxville. The tower is so high, most of the 102,000+ fans wouldn't ever notice it. With the lights on, it's impossible to catch a glimpse. 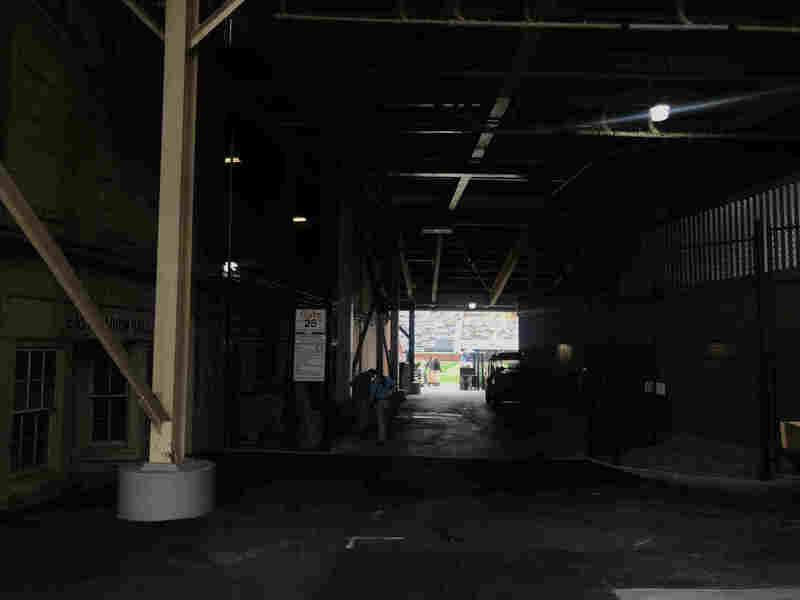 The shack itself is located deep within the bowels of the stadium tucked away in what's known as East Stadium Hall. This structure, which houses a number of offices and classrooms, has since been engulfed by stadium improvements. 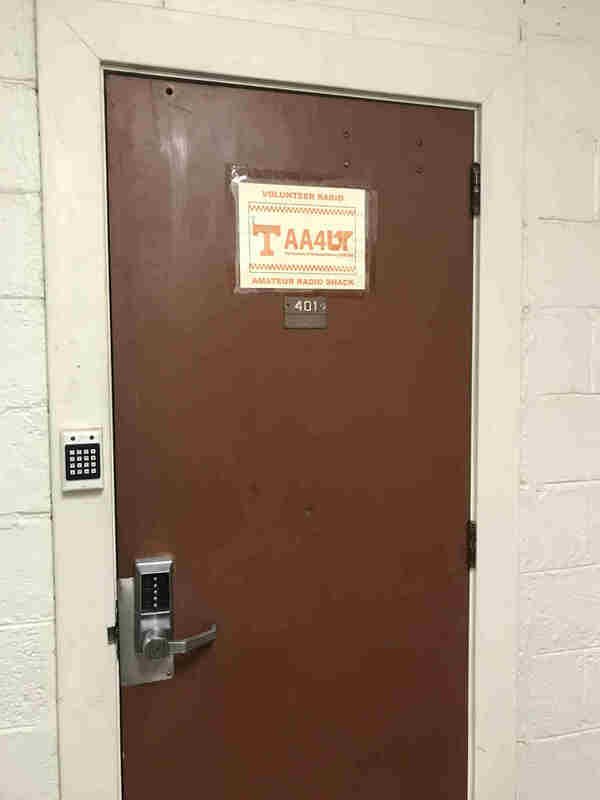 To reach the radio shack visitors pass the old office of William M. Bass, founder of the Body Farm. The hallway still smells of formaldehyde. 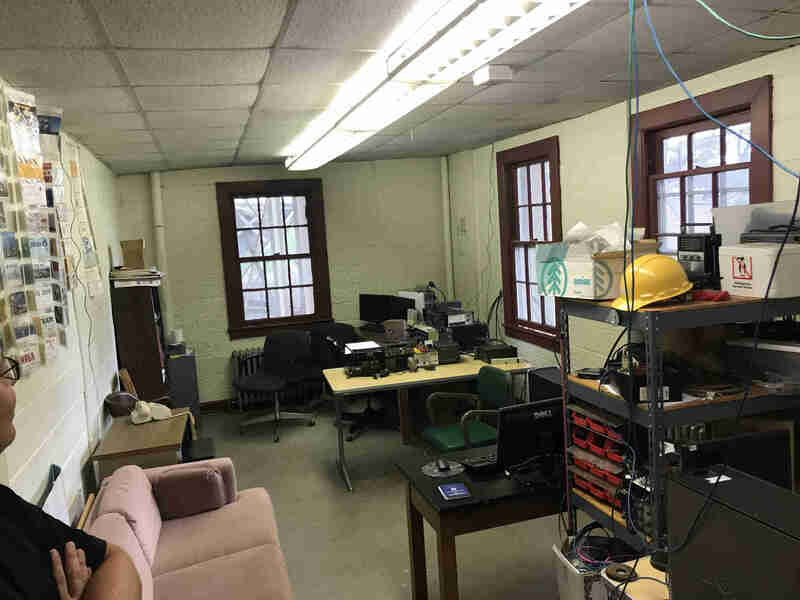 According to the club, prior to 1999, the shack was largely abandoned for several years and the HF antenna was torn down during the addition of the East sky boxes. Reentry to the room was eventually granted, the club was reinstated, and a new antenna placed on the roof of the new sky boxes. 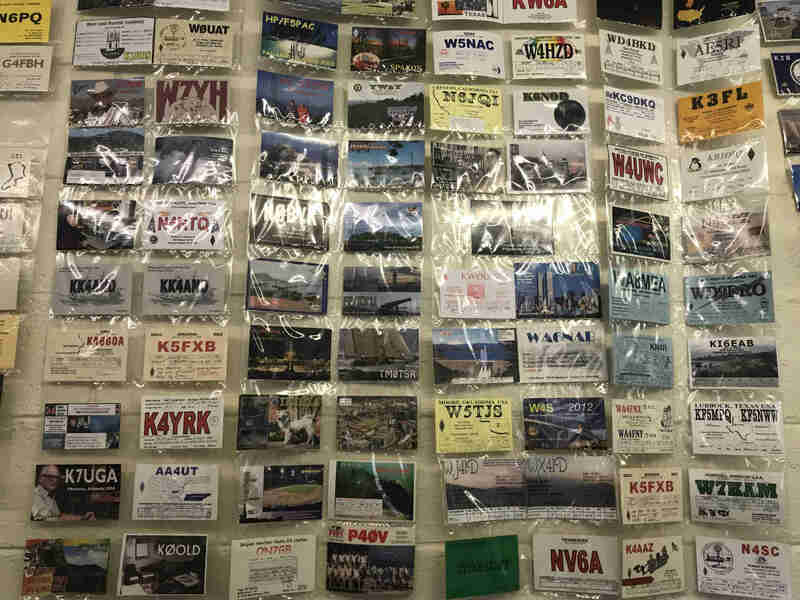 If you have an ARRL membership you can see a photo of the old antenna on page 20 of the March 2000 addition of QST. 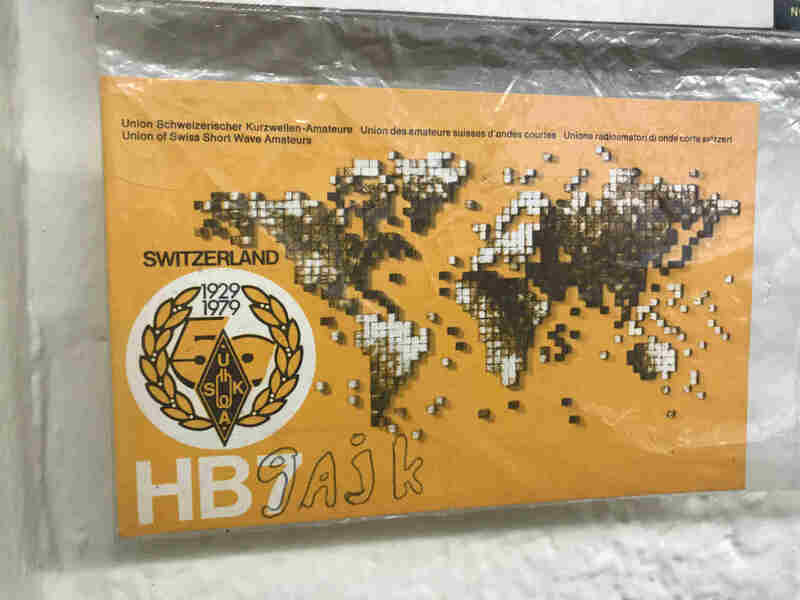 Read more about the history of the club which dates back to 1947. 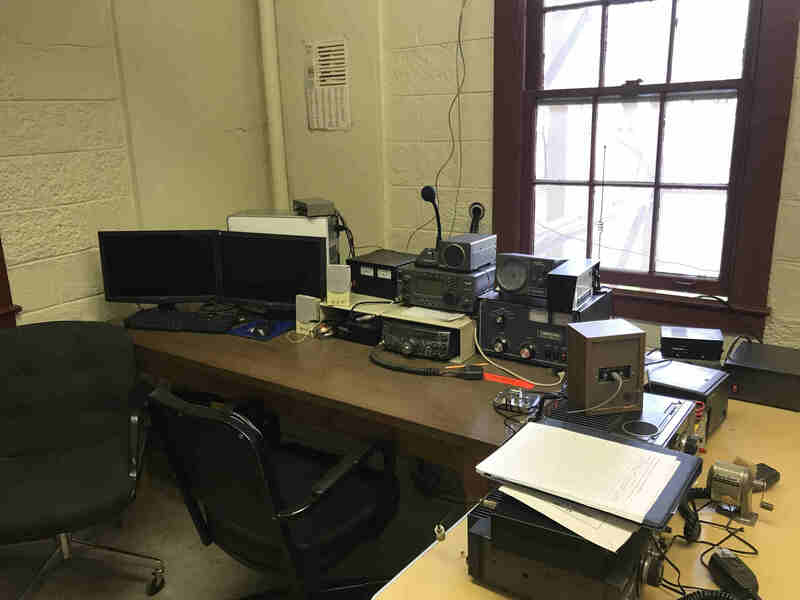 The radio room is unassuming from the hallway, but once inside it's everything you want in a shack with multiple HF stations, a 440 repeater, and digital capability. Just outside the windows you can see the newer stadium superstructure which now encases the shack and East Stadium Hall. Antenna cables run out of the walls and windows and upwards of 150 feet to the antennas on the roof of the East sky boxes. 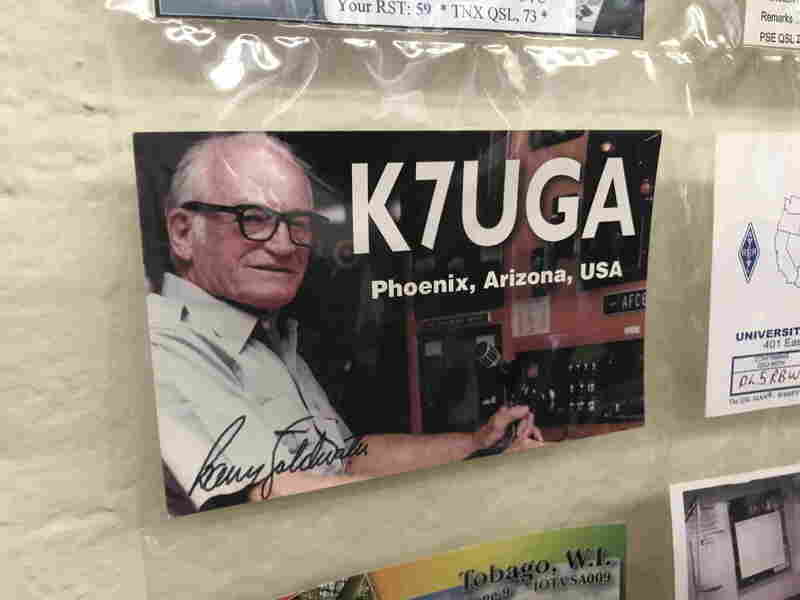 A wall of QSL cards includes QSOs from the likes of Barry Goldwater. 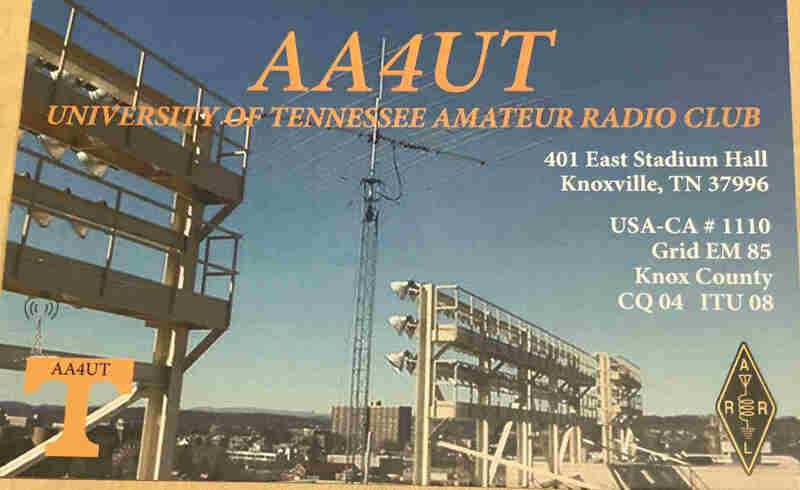 UTARC has been very active over the years once holding the record for flight duration and distance for amateur balloons through the Spirit of Knoxville. 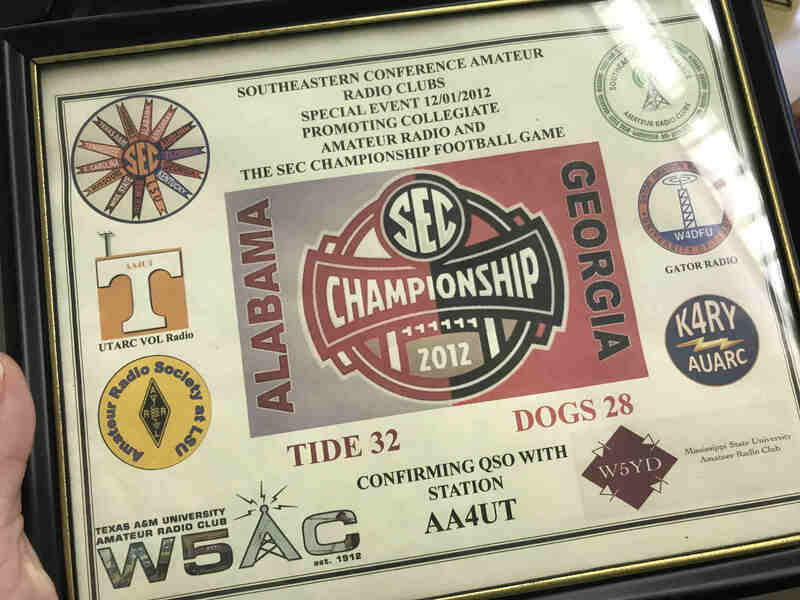 They've also operated with the Amateur Radio Clubs of the Southeastern Conference during SEC Championship football games. 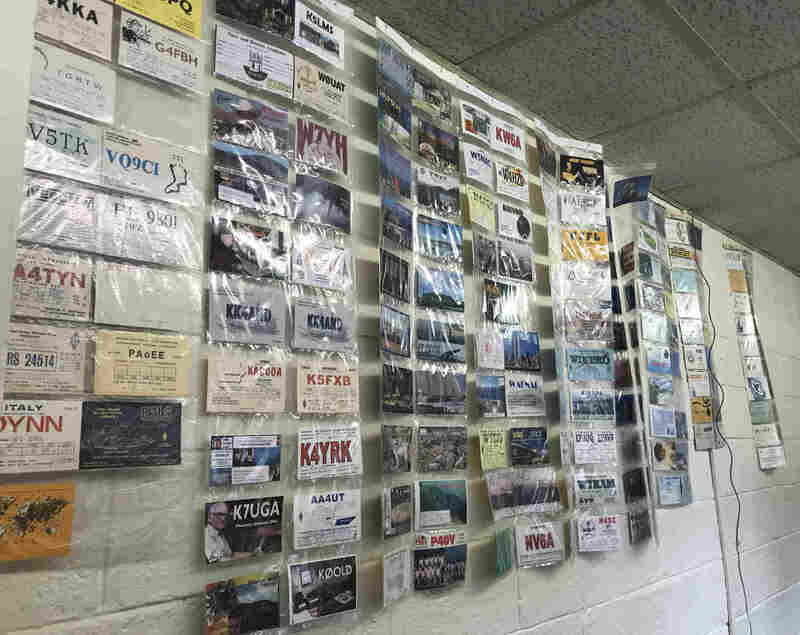 Southeastern Conference Amateur Radio Clubs. Here's a recent write-up of the club from the Daily Beacon. Recent activities include Field Day and setting up satellite coms with the campus police department. Unfortunately, there's a sense of uncertainty in air. 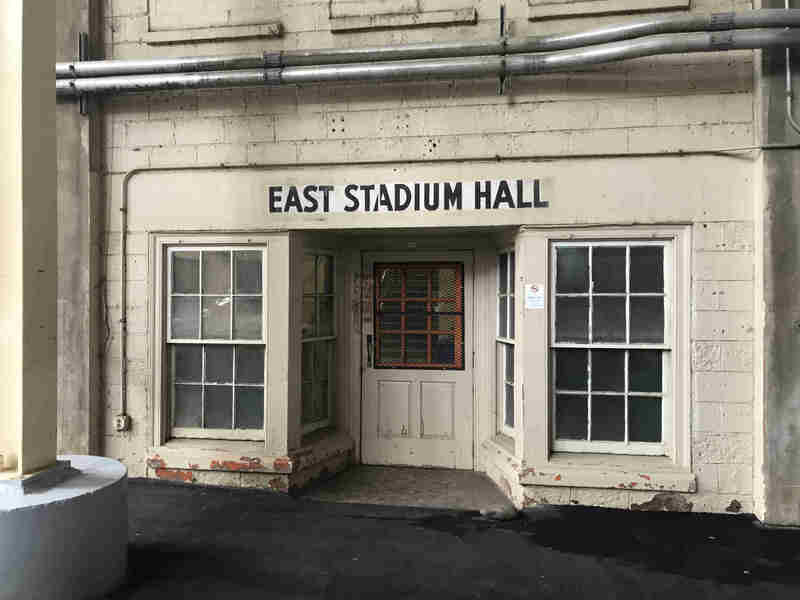 The athletic department has unveiled its latest round of stadium improvements which include dismantling the 70 year old East Stadium Hall altogether. The club and their equipment could be kicked out within the next two years. Fortunately, the club is building out a second shack in a nearby engineering building should that day come. Bobbie Williams (W1BEW) has been the trustee of the club for roughly 15 years. A huge thanks to Bobbie for giving us the tour and sharing some of the history of the club. Built with Hexo. Theme based on Haojen Ma.